While we were able to get some photos from the 2014 Toy fair, no toys linked to the upcoming Godzilla 2014 have been available. Prior to the Toy Fair Warner Bros announced, "For the classic monster property that is ready to get a fiery breath of new life May 16, WBCP has tapped Bandai America for a line up of toys. Other licensees on board include Jakks Pacific for large-scale figures and toy products inspired by the “King of Monsters,” NECA for novelty and collector toys and Sideshow Collectibles for authentic statues." Despite the official announcement, none of these images are allowed to be photographed due to an embargo placed by the studio. The embargo was confirmed by a representatinve of NECA to CosmicBookNews.com. Read an excerpt below. Well, it's day two of the NY Toy Fair and still no Godzilla movie figures and toys have hit the net. That's because photographs of the Godzilla Toy Fair products are not allowed. 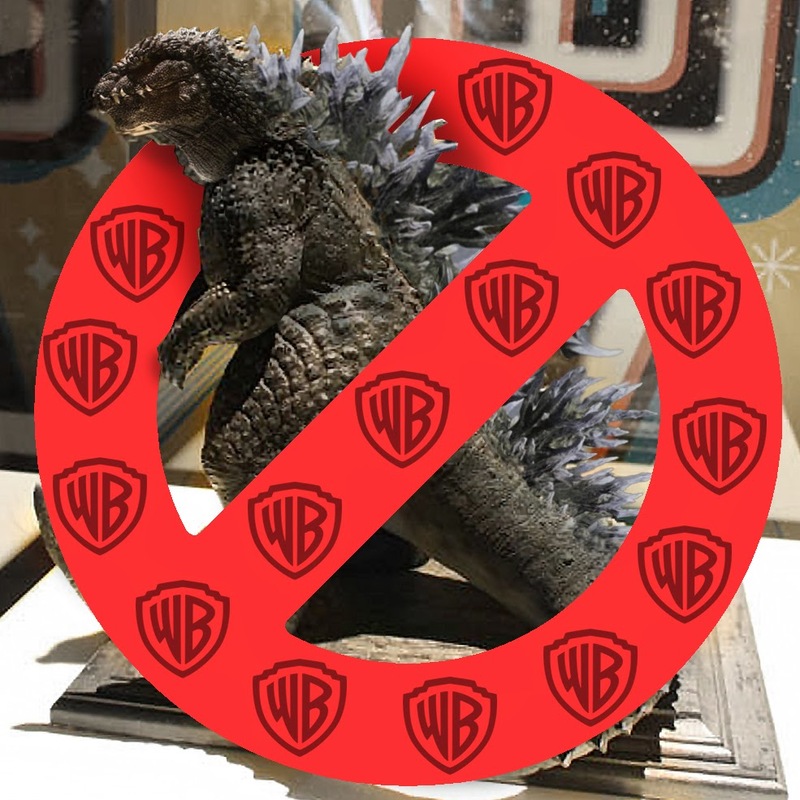 A rep for NECA got back to me and stated they are not showing any of the Godzilla items in the public viewing area as the images and products are under embargo until Mid-March.